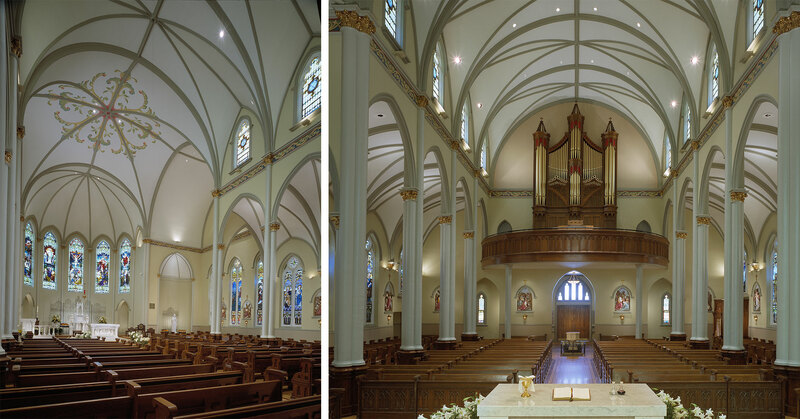 A full and complete renovation of an elegant 8,100 square foot Gothic church, which in the 1960’s had been stripped of its character, color, and liturgically important elements including altar, ambo, baptismal font, and statuary. The stained glass windows were thankfully preserved. In the 1980’s a cosmetic renovation occurred in an attempt to restore some color and new carpeting over severely deteriorated wood flooring and subflooring. 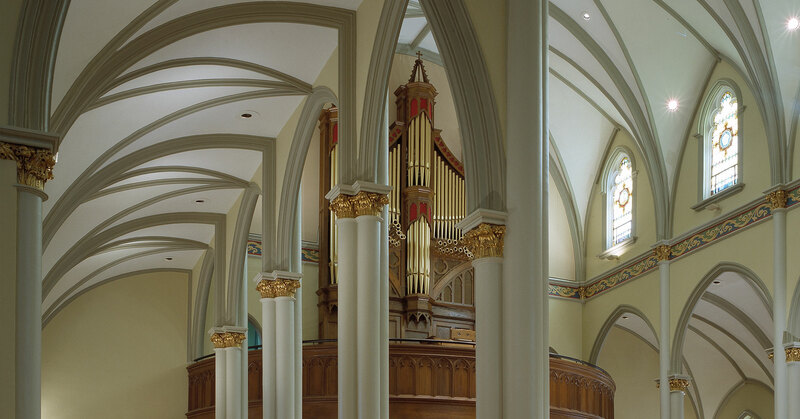 The design intention was to restore the structure’s historic integrity using state-of-the-art mechanical lighting, and sound systems and appropriate finishes, furnishing and appointments. The oak pews and kneelers were restored and arranged with the new sanctuary in a way consistent with liturgical practice used today.